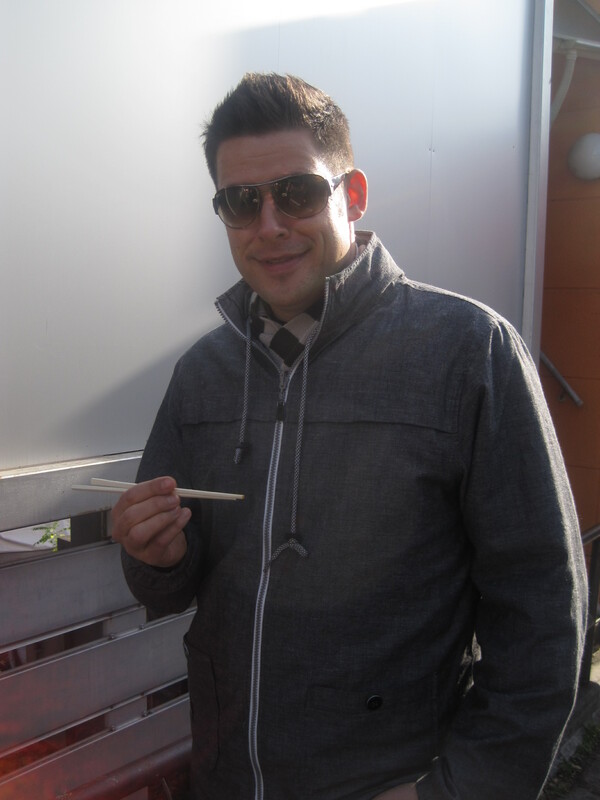 Joseph Mallozzi's Weblog: December 13, 2010: Tokyo Travel Day #7! Pachon! 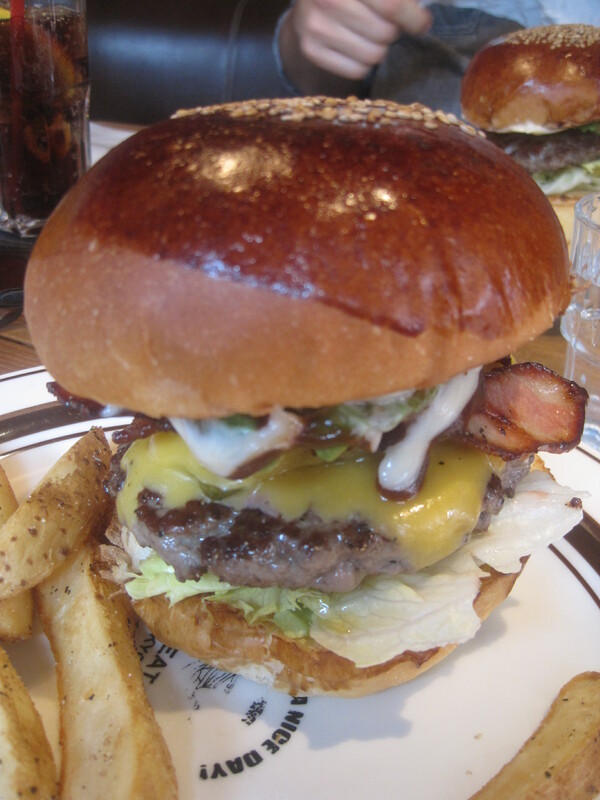 Great Burger! 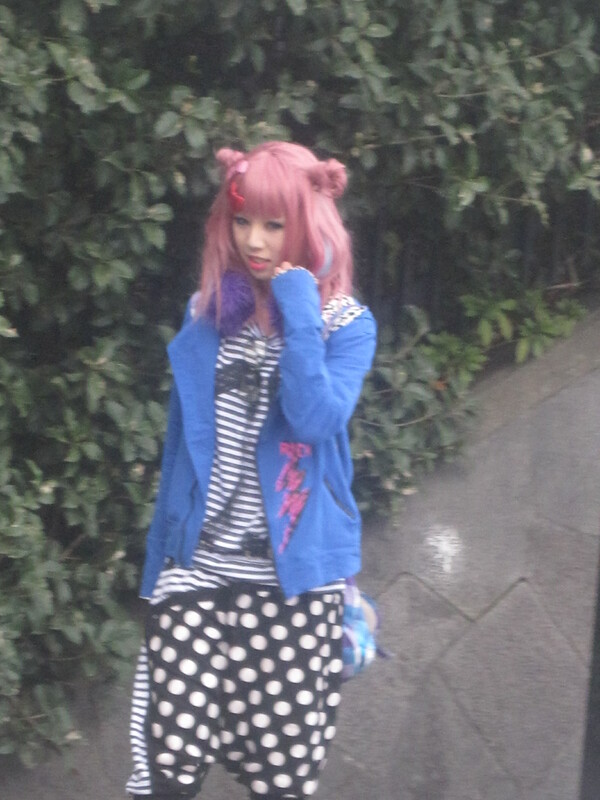 Harajuku! 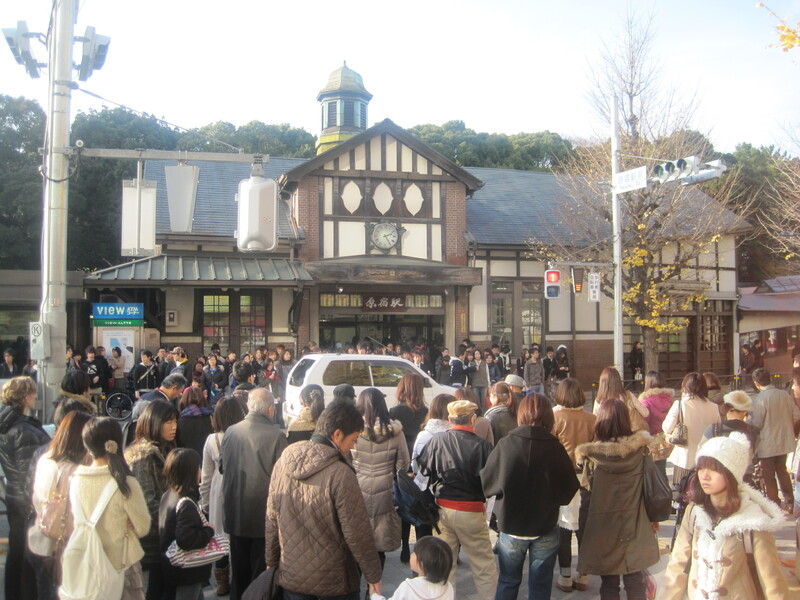 December 13, 2010: Tokyo Travel Day #7! Pachon! Great Burger! Harajuku! Having subsisted on nothing but fat, sugar, and alcohol for the past twenty-four hours, I was feeling a little light-headed as dinner time rolled in last night. Under normal circumstances, I might have called it an early night but, of course, these were not normal circumstances. 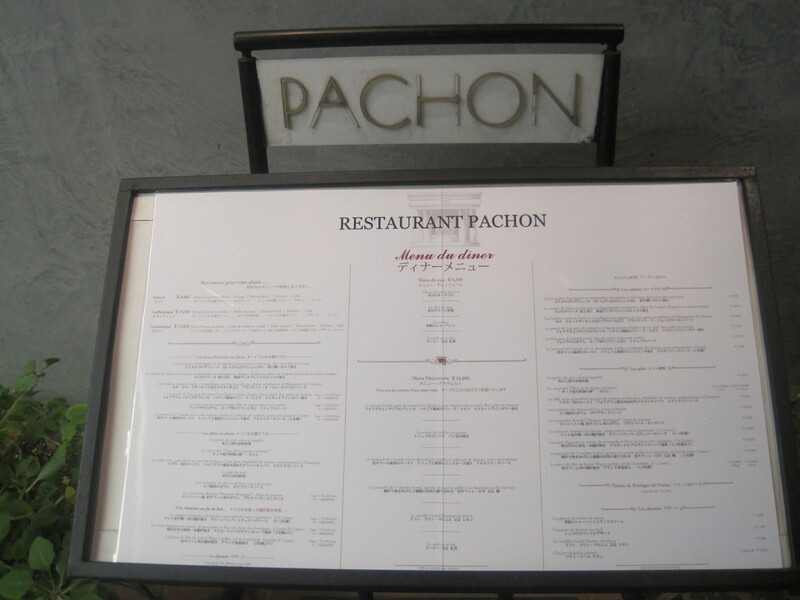 I was in Tokyo and headed to Pachon, a restaurant recommended to me by the king of French dining (and portable salt pouch) himself, Stefan. As always, we had excellent directions to where we were headed along with an accompanying map. And, as always, we got lost. Fortunately, we made it in time for our reservation. 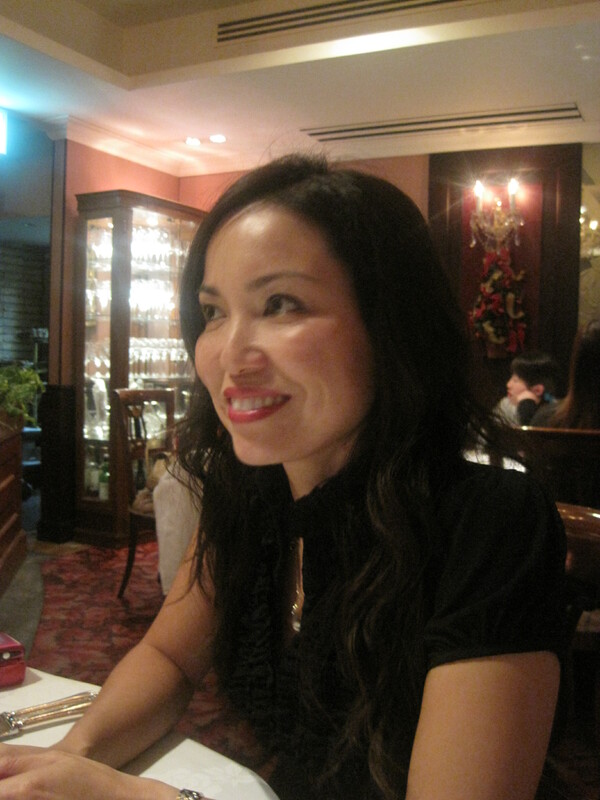 Our dining companion, Sachi, was already there. 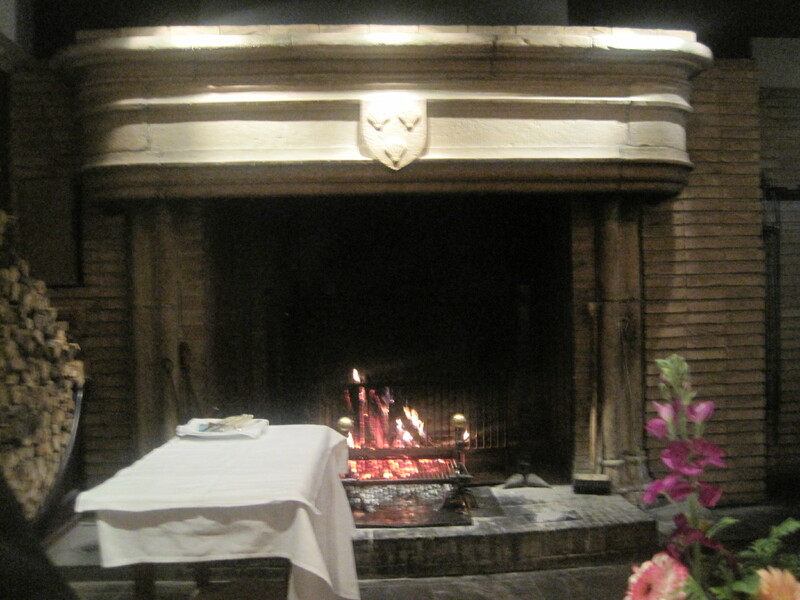 Our table was located not far from the fireplace that, besides warming the room, was used to roast everything from beef to duck that night. 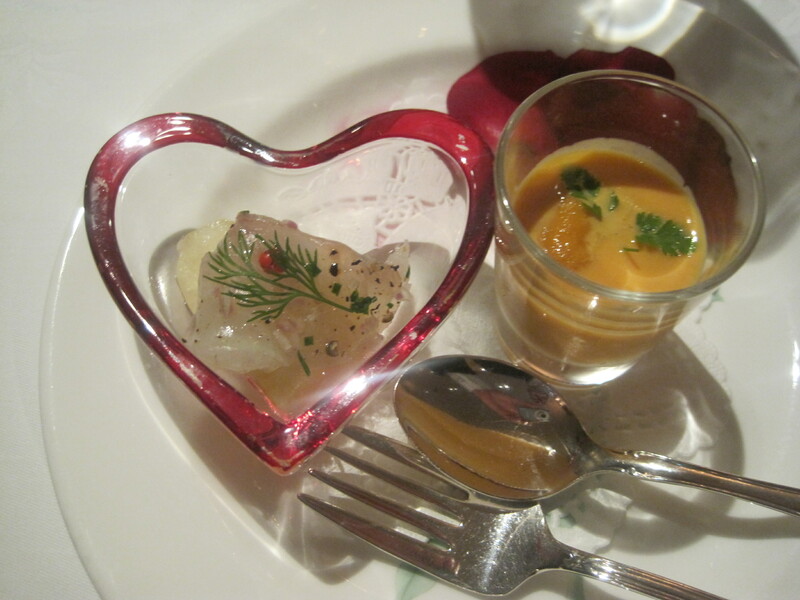 We started with the amuse-bouche, a little something from the chef ("And I didn't get him anything! "to quote Peter DeLuise). All three of us opted for the five course Gourmand menu. 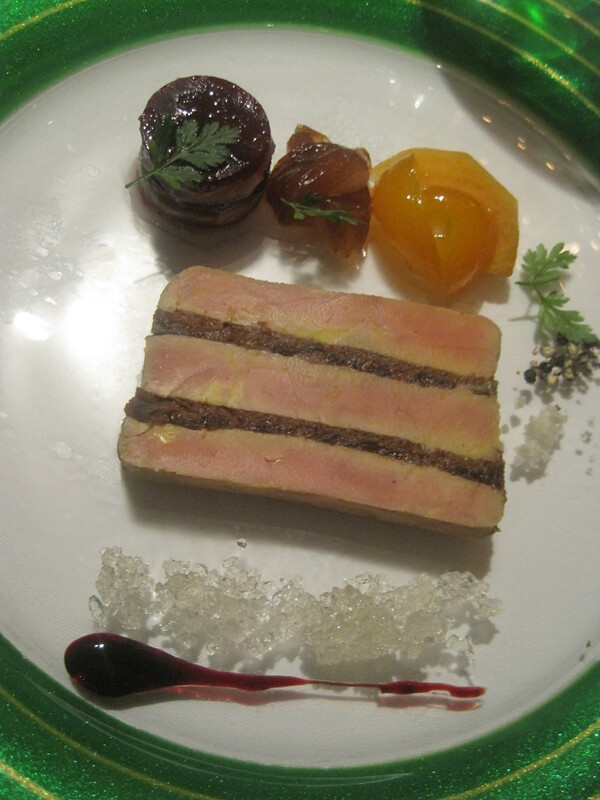 To star, I went with the duck foie gras with figs, muscal gelee, and honey-roasted spice bread. Terrific. 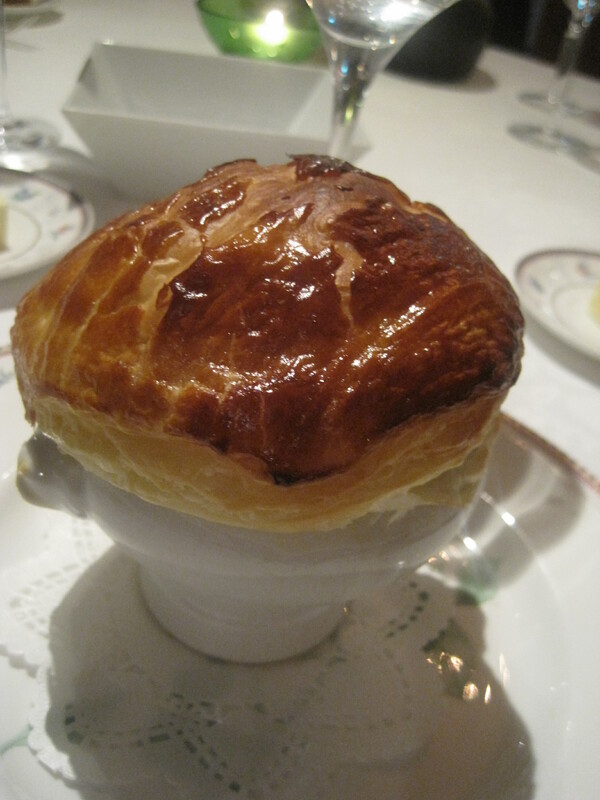 Next up was the soup course: soupe de truffe en croute. 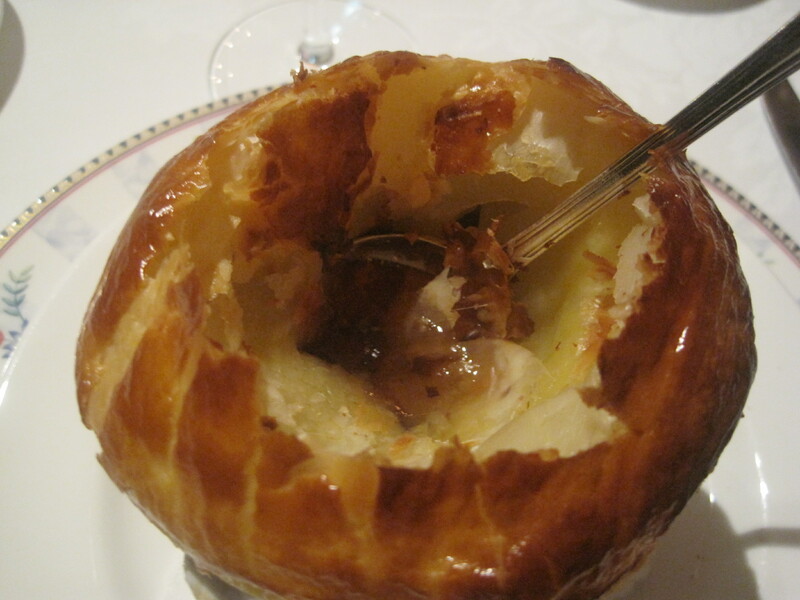 The pastry shell was almost ethereal, breaking down easily and offering a nice textural addition to the flavorful truffle broth. 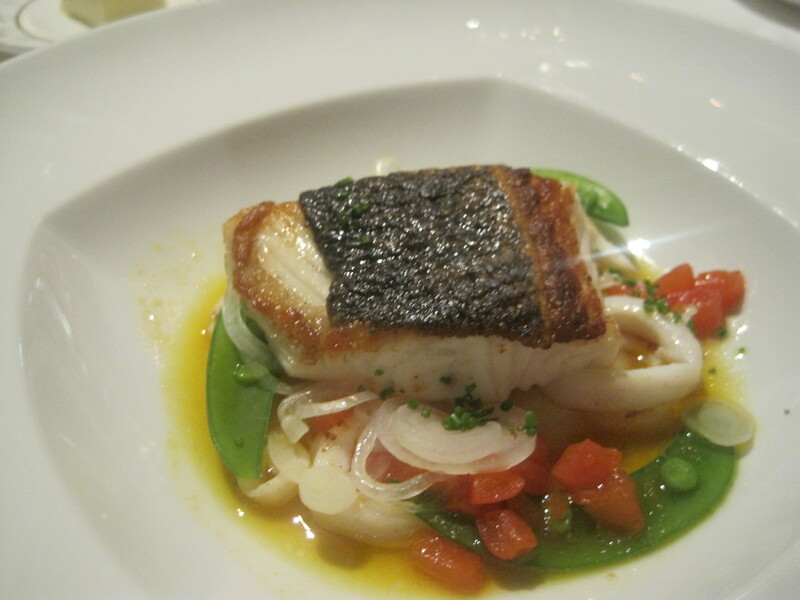 The fish of the day was a nicely cooked sea bass served in a saffron broth. 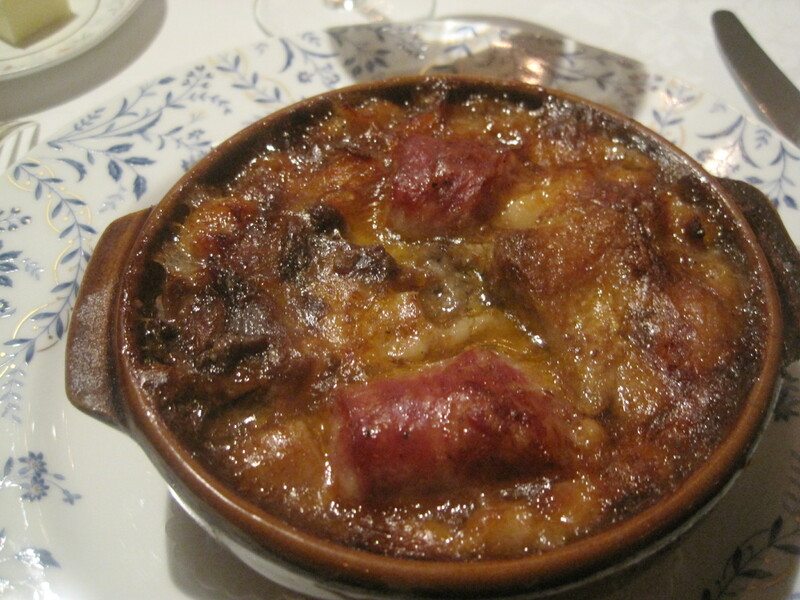 Le cassoulet Die de La Cuisine Occitane: duck confit, sausage, and white beans slow-roasted for hours. The best I’ve ever had. Throughout the evening, the chef would come out of the kitchen to survey the dining room and make sure all the diners were happily enjoying their meals. I thought that a very nice touch. Alas, I thought we'd get a choice of desserts as I was eyeing the souffle. 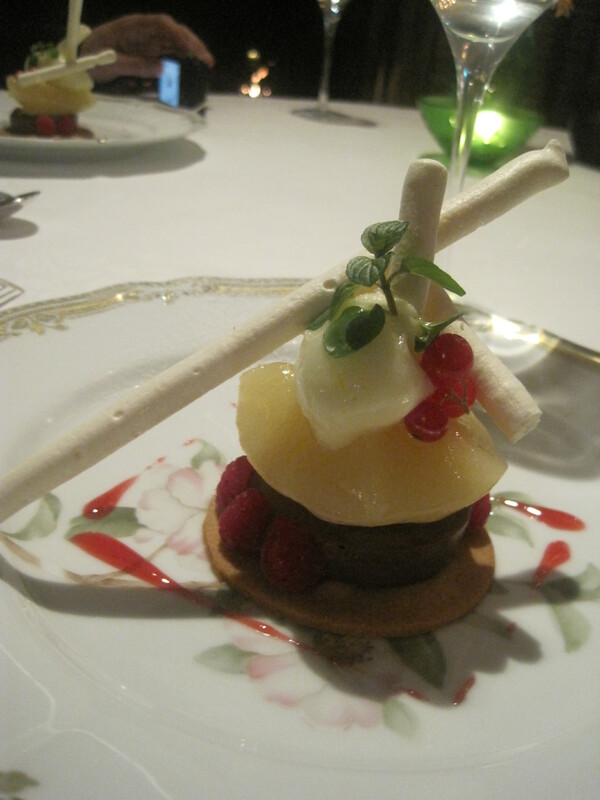 Instead, I was served this gorgeous fruit-based dessert I didn't touch. I did, instead, avail myself of the dessert cart. Mini macarons, chocolate biscuits, and pistache de provences. I may not be fluent in French, but I understand to know this doesn't make sense. I mean, they're French words but they seem to have been assembled at random. Three types of Kit Kats: wasabi, sweet potato, and soy. Can't wait to sample. 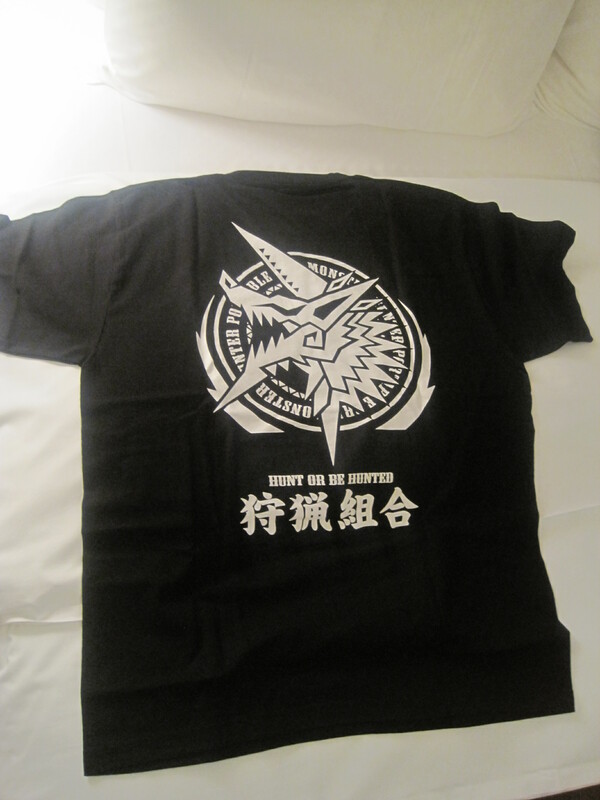 Monster Hunter t-shirt. Not familiar with the show but thought what the hell. 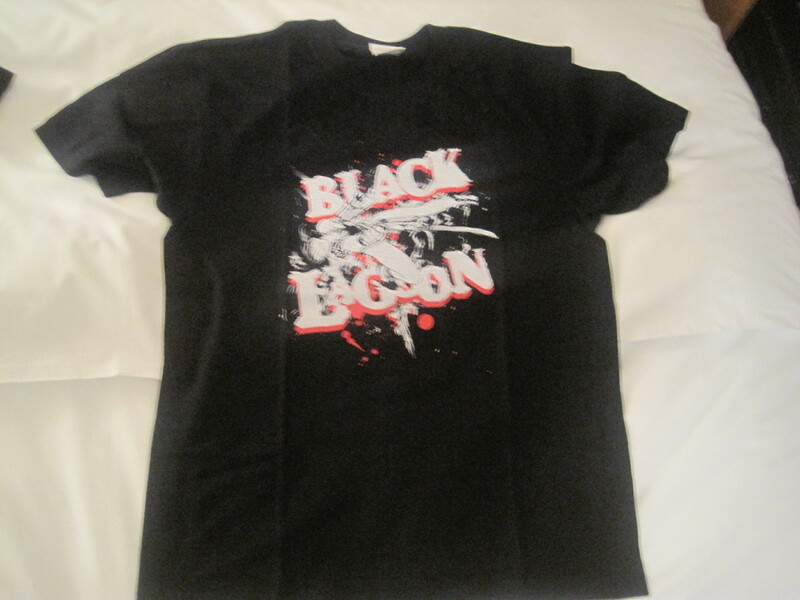 I was looking all over for one of these: Black Lagoon t-shirt featuring Revy. I slept fitfully last night – which is about par for the course so far. If it aint the alcohol or the rich food, it’s the dry air and weird in-room temperatures that varied wildly between freezing cold and blistering hot those first few days until I discovered how to turn off the air-conditioner (which happened to be running along with the heat). Today, we met up with my friend Keiko who brought us to Great Burger for some pretty good burgers (the burgers are Alright Burgers were just so-so). Following a ten minute wait (apparently anywhere worth eating/shopping/drinking in Tokyo requires a wait) we were eventually seated and served. These particular burgers have clearly seen better days. 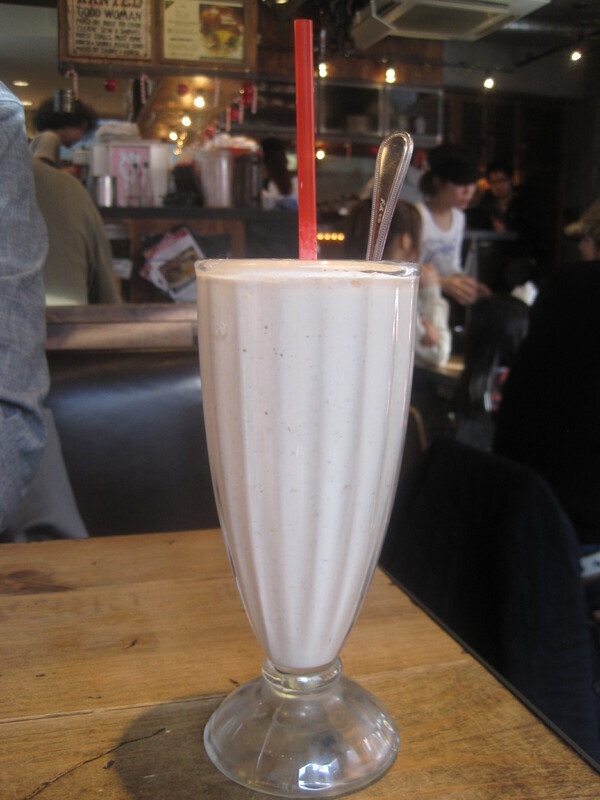 Chocolate-Maple thick shake = Greatest milkshake ever! I could've just had three of these. 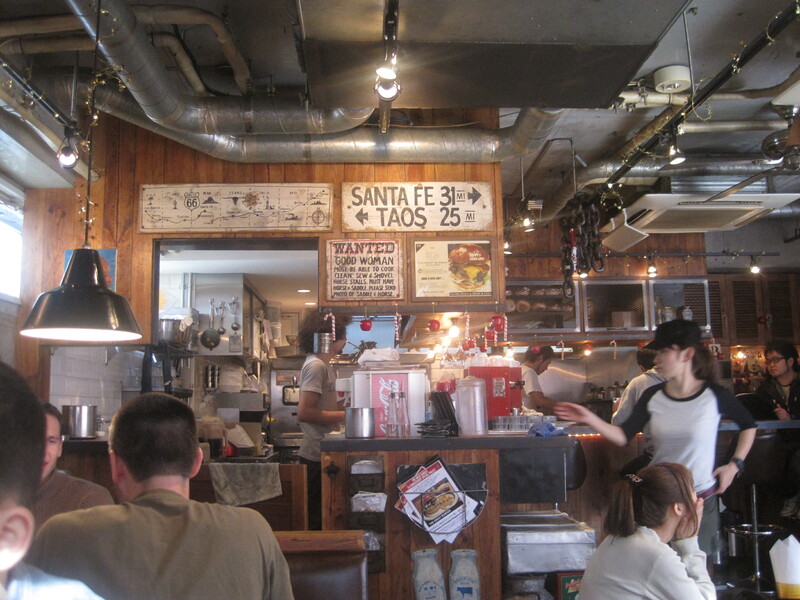 I had the jalapeno cheeseburger with bacon, avocado, and barbecue sauce. Things got real messy, real fast. Ivon was mortified. Interesting hat fashion. 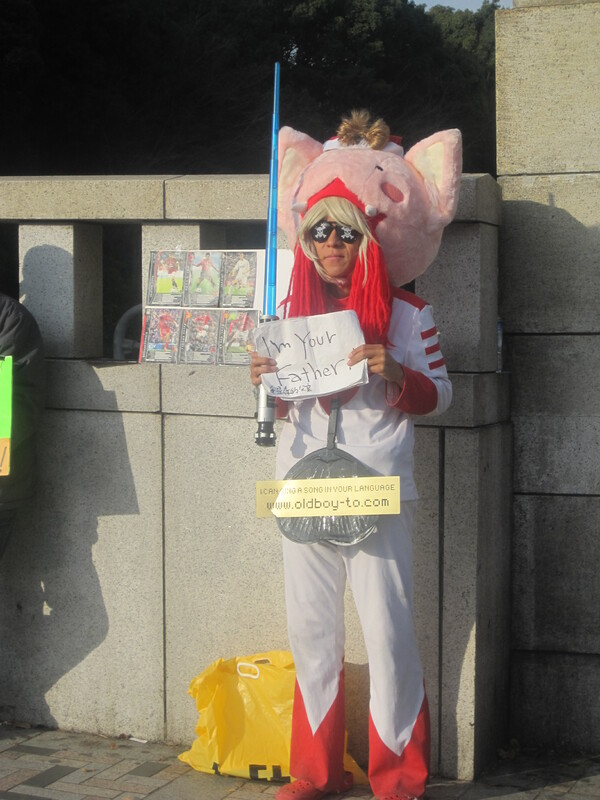 This is Harajuku after all. 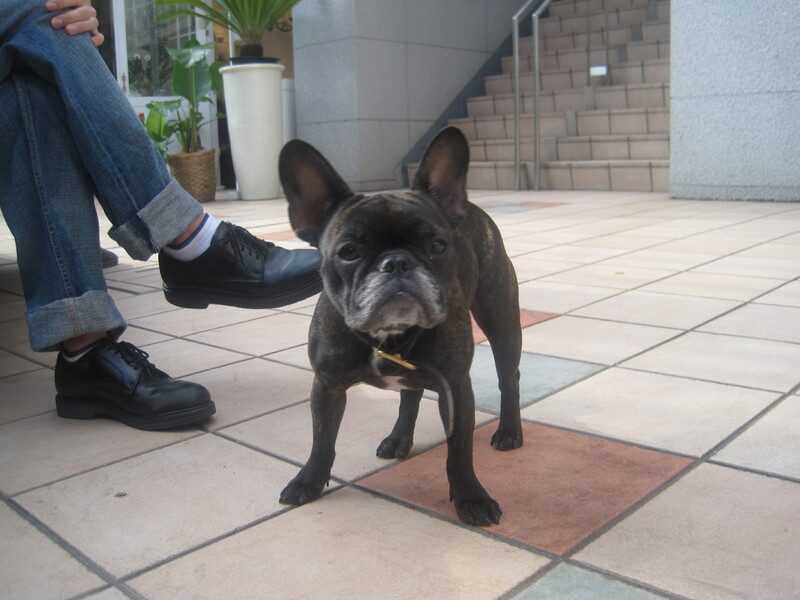 We ran into this adorable fellow. I, of course, had to stop to say hi. 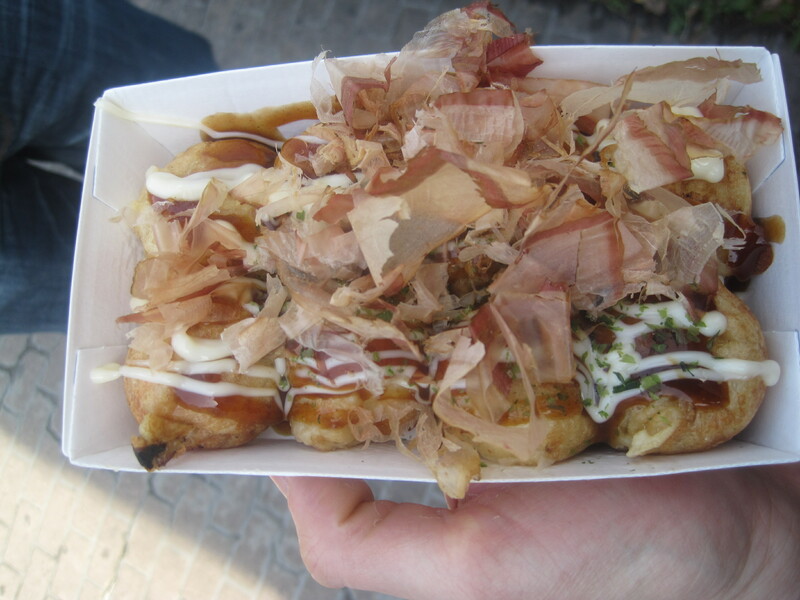 Even though we'd just had lunch, I couldn't deny Ivon his first takoyaki experience. Tasty octopus bits and cabbage in partially-cooked batter. Yum! Ivon in happier times (aka before he popped the molten hot octopus ball in his mouth). 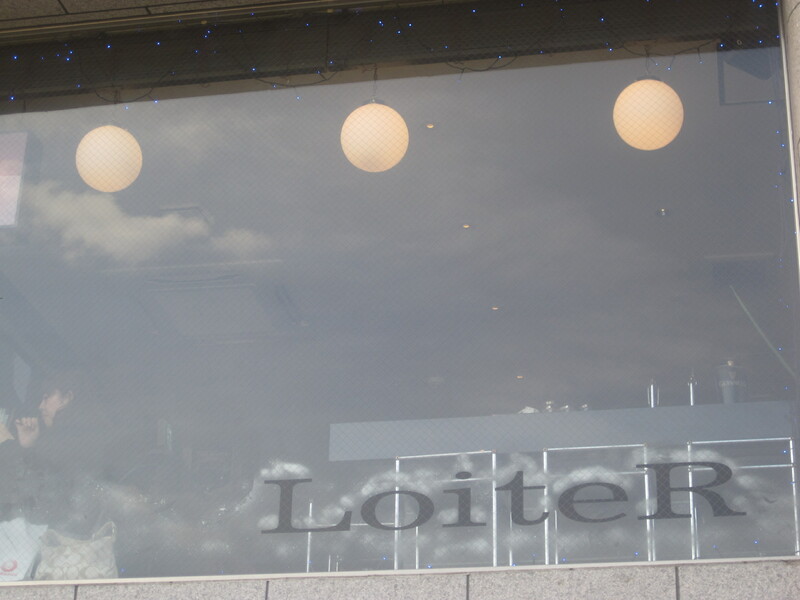 Awesome name for a cafe. You can buy one cup of coffee and then just hang around forever. Ivon: "Whether it's a hair salon or a restaurant, I aint going." 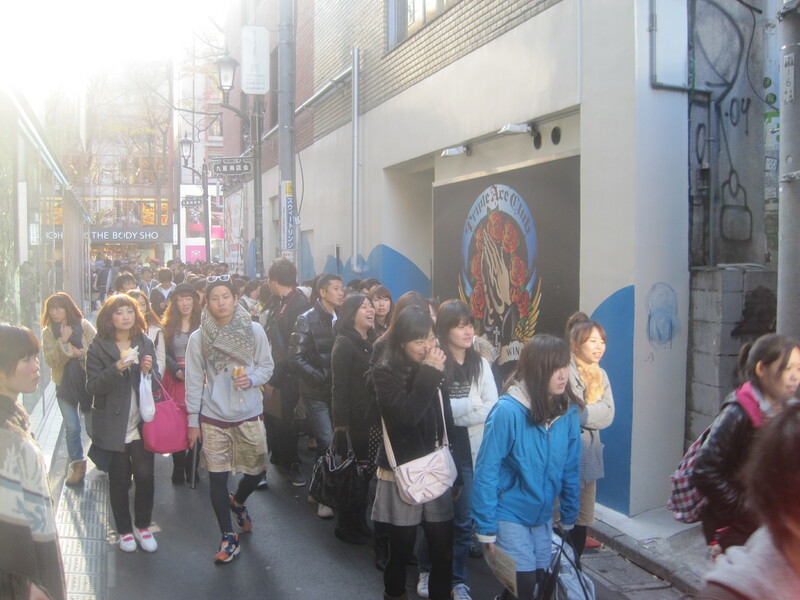 People lining up to eat pancakes. Meiji Jingu Mae - konde imasu! 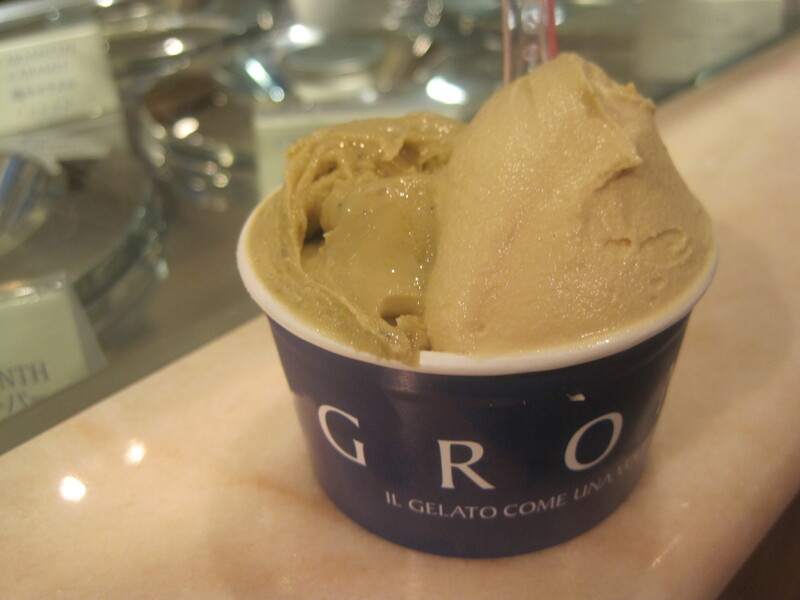 Take a gelato break (pistachio and salted caramel for me). 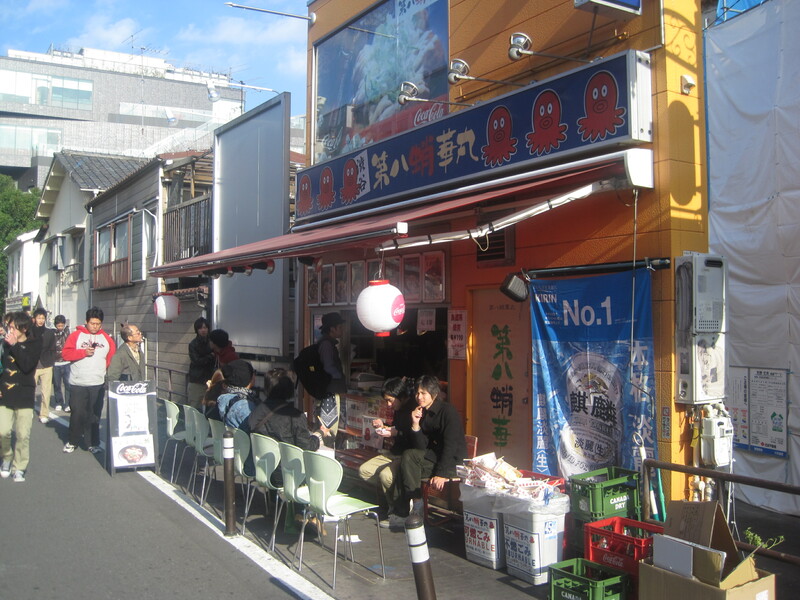 Previous Article December 12, 2010: Tokyo Travel Day #6! Sawada! More Star Bar! We eat a half pound of fat for lunch! 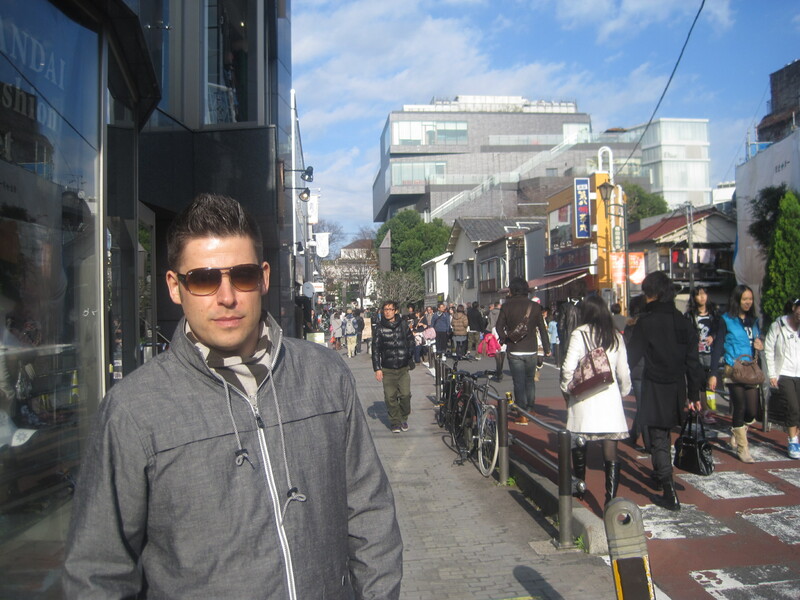 Strolling down Ginza Dori! 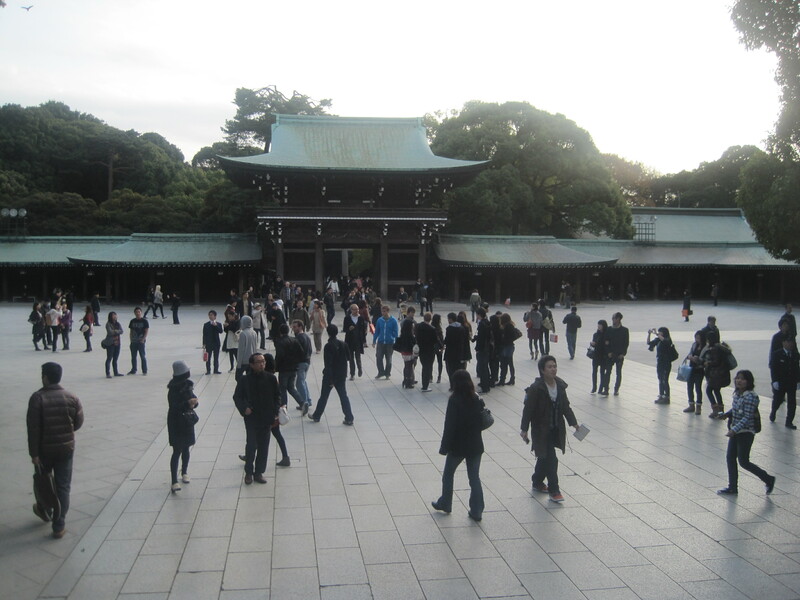 Next Article December 14, 2010: Tokyo Travel Day #8! The Molecular Tapas Bar! Hokkaido Ramen Toro! Some so-so desserts! And work follows me halfway across the globe! oh, if you were to pick up an extra large black tshirt, I’d gladly pay you for it. Looks like Lulu paid you a visit to give you a Jelly update. Speaking of Jelly, how is her recovery going? Saw this pic and thought of you! Joe, I can’t seem to recall you mentioning trying any natto (fermented soybeans) in any of your previous Japan trip posts. It’s pretty much the most awful thing I’ve ever tasted, so I’m very curious to hear your take! 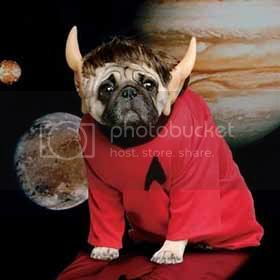 I wander off for a day and miss three blogs? Yikes. I did get to an engagement party and drank enough Moet to have a blissfully bad hangover day. Yay. Everything looks yummy, even the Alright Burgers and the blackout donuts. The shrimp are so pretty. Isn’t Akihabara … um. Unique? See any pink vacuum cleaners? Absinthe? An acquired taste, some are easier to enjoy than others. I prefer Le Torment Verte, which is more like a sweet absinthe liqueur than a full, true absinthe. Good to hear Jelly-chan is headed home. Excellent. Ah, so there’s a limit to your gall bladder superpowers. You sleep poorly when you eat too much fat just like a regular Joe. 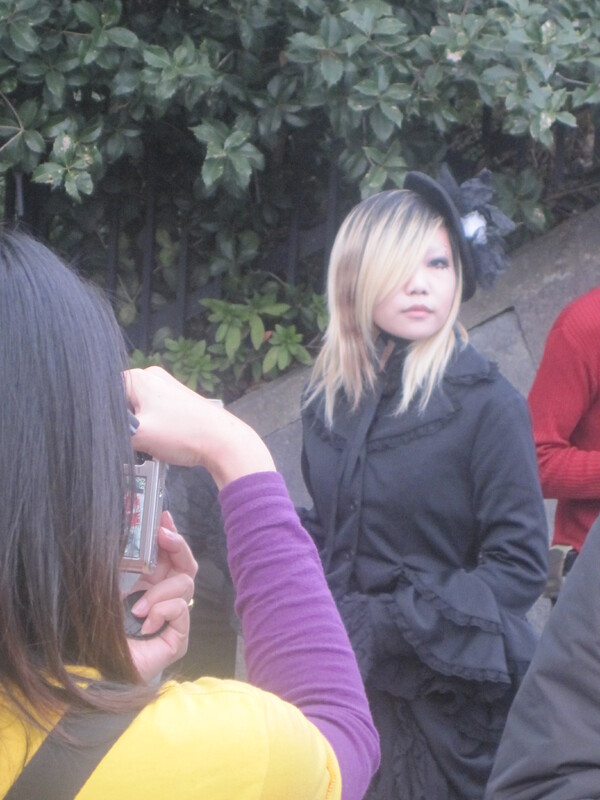 People watching is such fun in Japan. 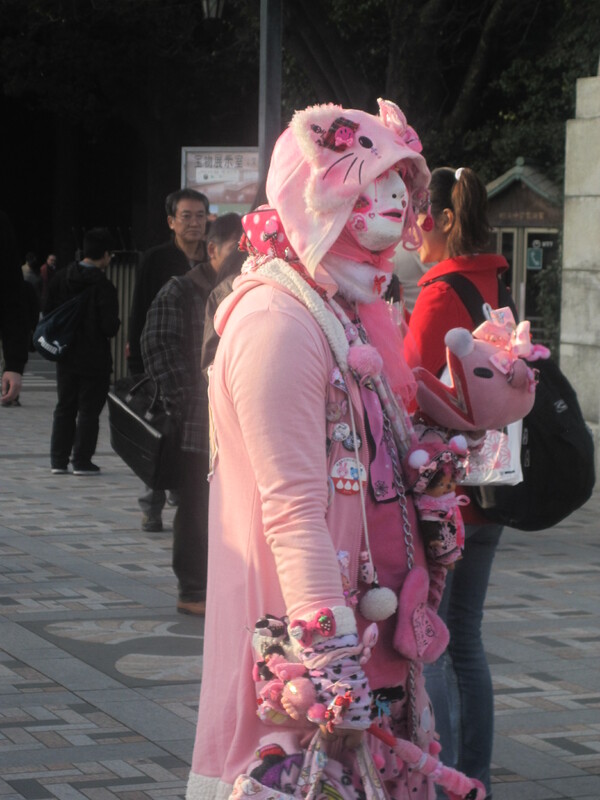 Is Harajuku like that all the time, or did you happen into an anime con? 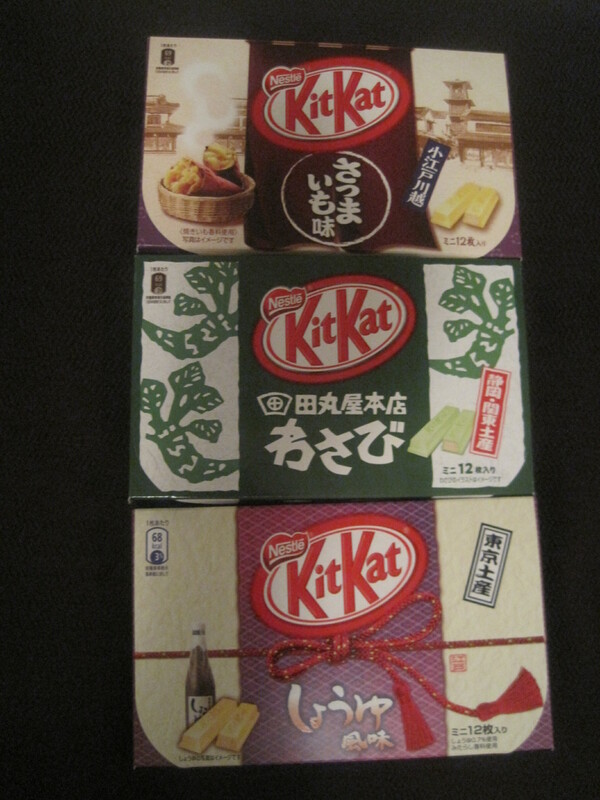 Three types of Kit Kats: wasabi, sweet potato, and soy. Can’t wait to sample. That is just WRONG! I didnt know octopus’ had balls, kind of gross if you ask me. I joke of course, definetly different eating over there though. How well does your stomach adapt? Or is sitting in the washroom when you find the time to write the blog? Out of all that, I’m most amused at Ivon’s new glasses. 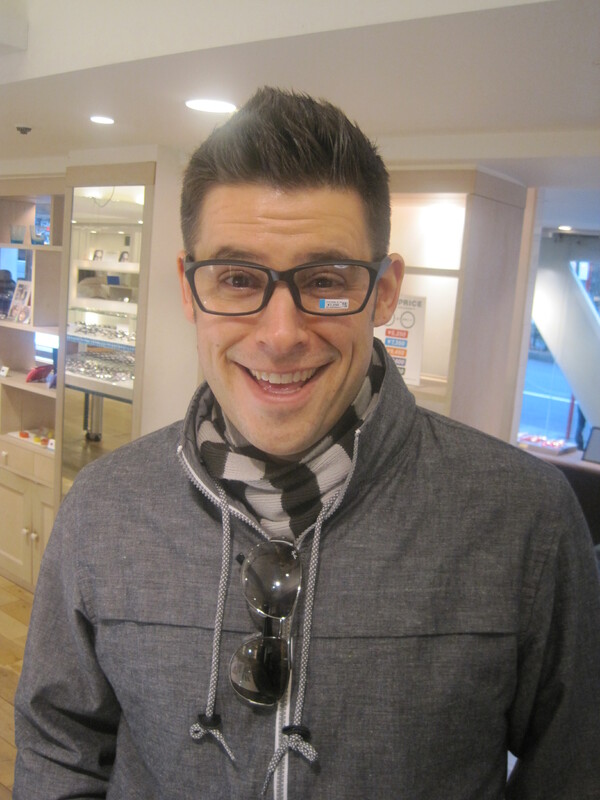 I recently lost my glasses on an LA-Chicago trip, and when I was in Tokyo before Thanksgiving I decided to check out an eyeglass store in Shibuya that was having a sale. Bought a pair, and am still surprised at myself for that impulse. Tell Ivon I really like his choice! Mine are also classic nerd style. 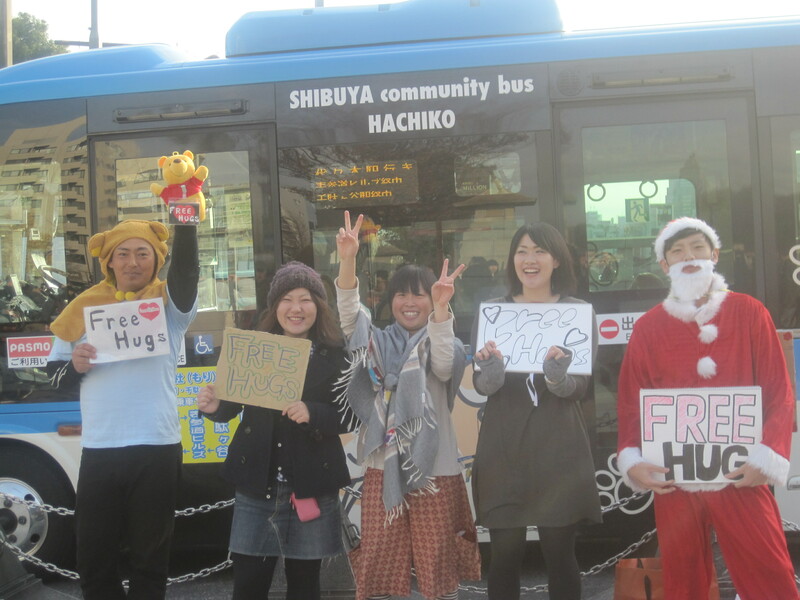 Joe, I have to ask…did you get your free hug from the Japanese Santa? 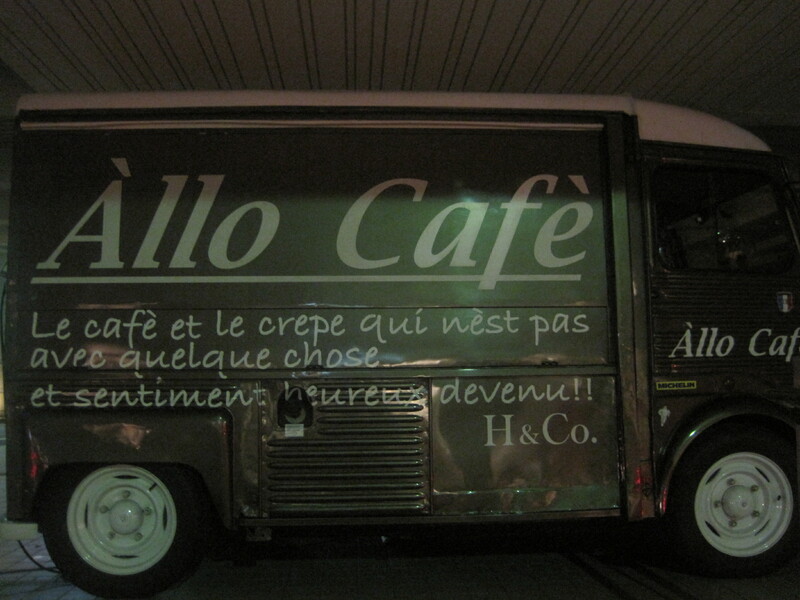 Let’s see… the coffee and the crepe that is not with something and feeling good became. So many pictures, so little time, thanks for sharing.. The guy in the eating pancakes one, with the white glasses on his head, looks like he has a baseball bat in his hand, dangerous crowds?? for pancakes.. Uh, I vote no on the glasses for Ivon, although he is cute in whatever. Love the milkshake, now I want one, thanks. Is Monster Hunter a show? I know it’s a game, because my son has it. Glad to hear Jelly’s made it through surgery and went home. I hope she continues to do well! Thanks Joe for more great pictures. Bigger fan of the glasses. those kit kats would make a good weird food purchase of the day video, if you don’t pick up any ramune or other odd drink that is. Hi Joe, and please tell Ivon ‘hi’ too. Sounds like your trip is a real blast. Are you figuring out Japanese culture yet? 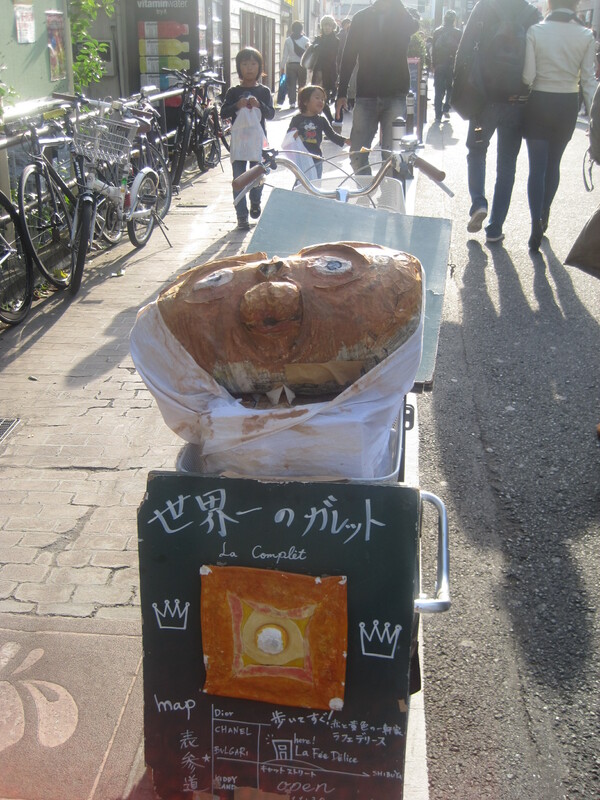 The more I read your blogs about your trips, the more I’m convinced that Japan was dropped onto the Earth by a bunch of aliens with a sense of humor. You had mentioned a while ago that you were taking Japanese language lessons. Are you able to converse in Japanese yet? Hoping Jelly is feeling better. THAT meal looks delicious!! Stefan knows his stuff. You had me loling a few times, but that Nerd!!! picture just did me in! 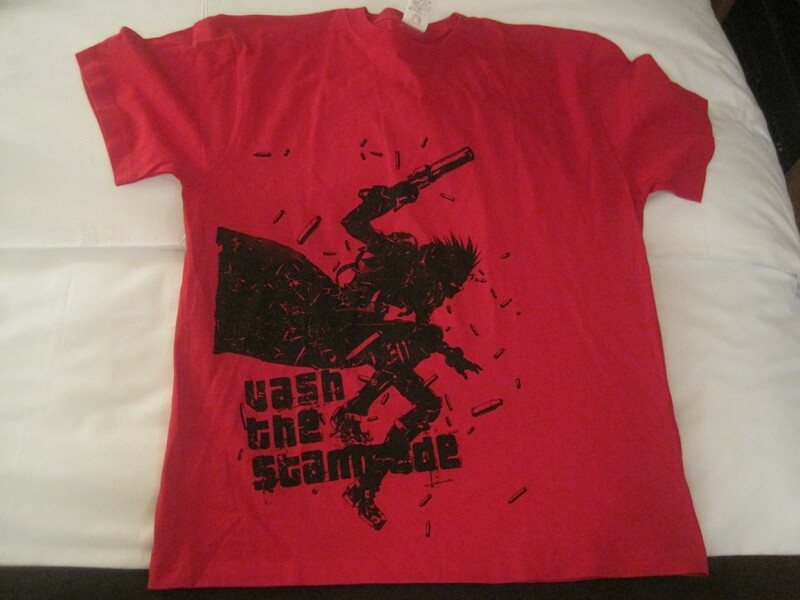 Also, that Vash the Stampede shirt is totally awesome! Happy further travels to you and Ivon. “The FURTHER Adventures of Joey and Ivon”…so loving this. You two are GREAT. The word “maple” makes me want to vomit. I want to know how you can possibly eat all this stuff and stay so fit (both of you). So glad to hear that Jelly is home! She’s a little heart tugger. Bet you can’t wait to give her a smooch when you get back. Sounds like you’re wearing out poor Ivon. It’s great to see you both having such a wonderful time. 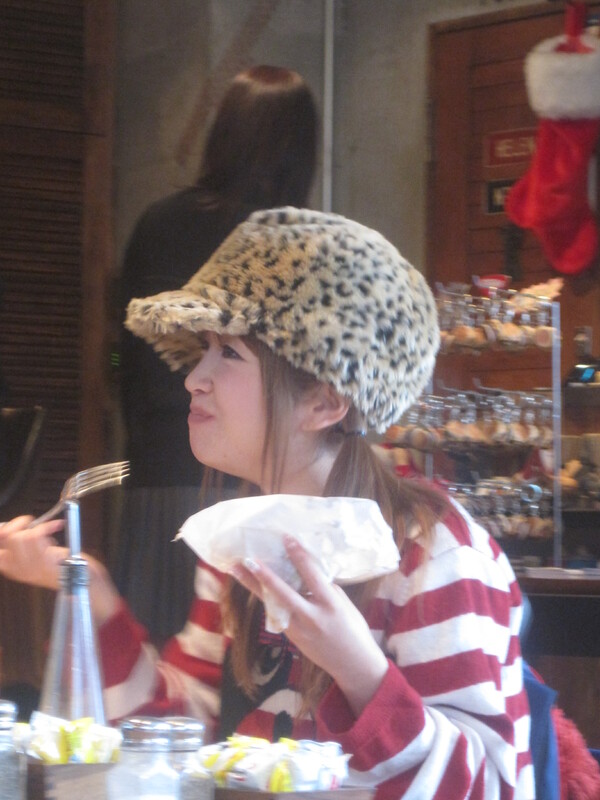 And it looks like Tokyo can rival LA when it comes to whacky looking people. 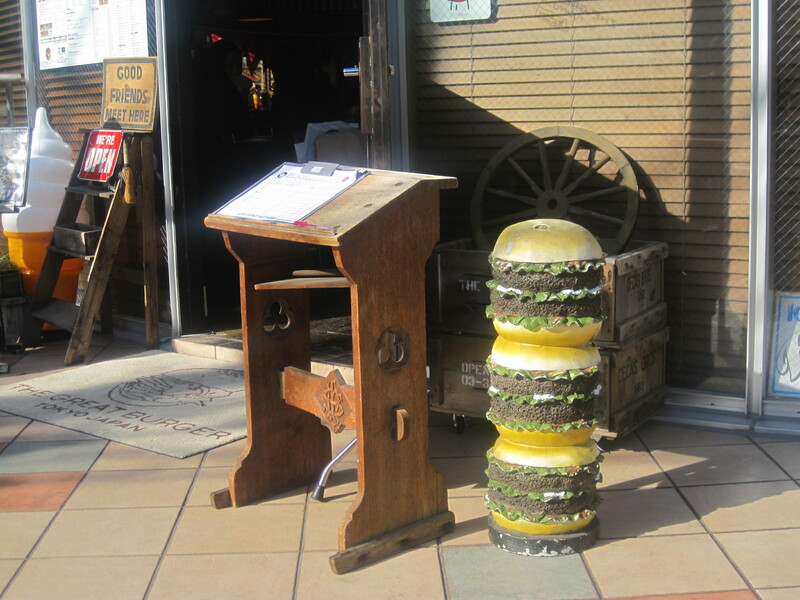 Haha, take a look at the “Casual eats at Great Burger” photo. #1 the staff member to the left in the back has a huge afro. And this applies to all the images, Japanese women are hot, obviously.